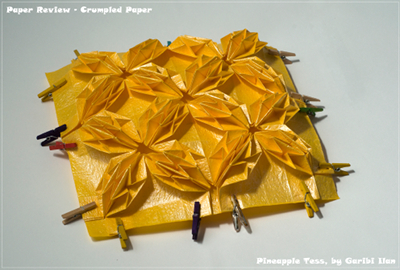 This paper is made in China and is sold in Vietnam as a wrapping paper for flowers and gifts. When it was discovered by the VOG, the makers said that "a new use was given to him, making it and its producers proud" (quoting from their forum with the help of Google Translate). 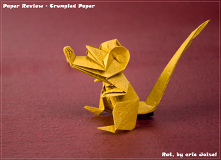 Its brand name is really Crumpled Paper and there is another version, Pearl Crumpled Paper. 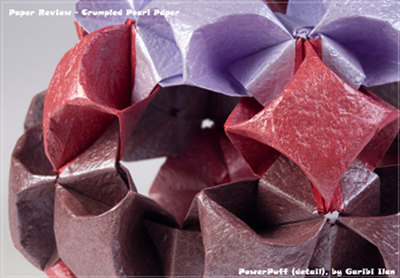 Colors: With no official data, I counted 28 colors of Crumpled, and only 12 of the Pearl Crumpled paper. The palette is basic, with strong and dominant colors such as red, dark blue, green and orange. 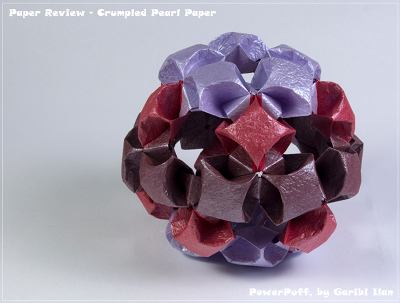 The Pearl Crumpled uses the same colors, but the coating changes the look of the colors. 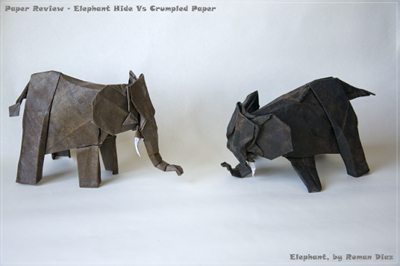 While one side has the same color as the non-coated paper, the coated side is slightly lighter. Paper Coloring or Colorability: Applying water color (by Ecoline) gives good results when using the Crumpled paper. 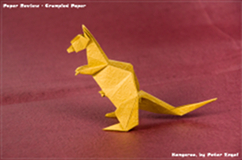 As can be seen in the image, the correct color can be achieved if coloring white paper, or dark paper with dark colors. Alas, when I used the light blue watercolor on the harsh yellow paper it resulted in green. 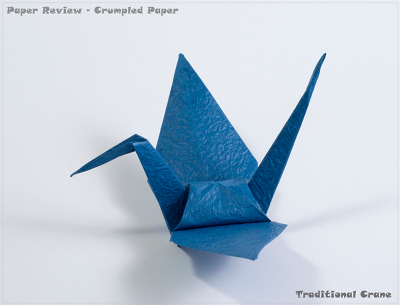 The Pearled paper just rejected the color (it is water resistant!). Where to buy: If you live in Vietnam, go to almost any flower shop and ask. If you live elsewhere you are very limited even with online options. I searched many sites to no avail. All the usual places, from Kim's Crane to Amazon don't carry it. The few places that do sell it, sell it by the tonne for distributors only. 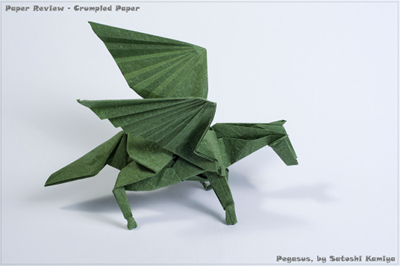 The only real option is Origami-Shop.com. Nicolas Terry has a limited stock and this is where I bought my own. 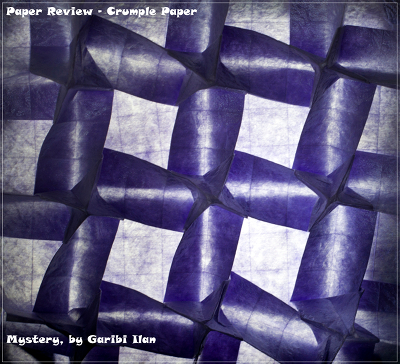 This paper is used many by VOG members, because in vietnam is chepear and easy to find. 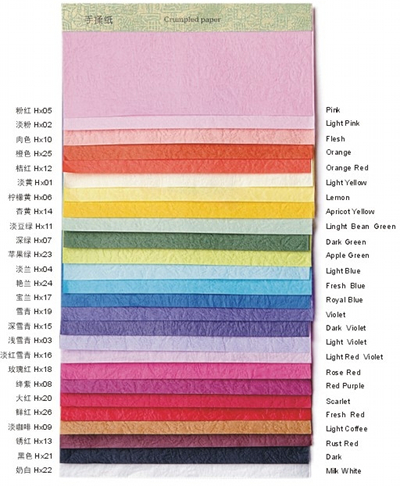 Many years ago i contact manufacturer and you can buy starting from 2000 sheets same color. 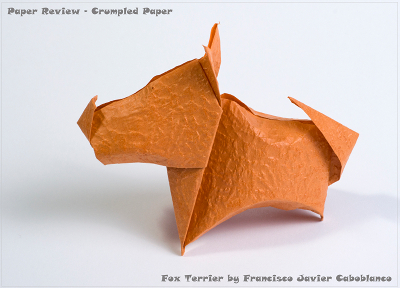 We need to wait to see this paper on others shops, because in my opinion is one of best paper for origami. I don't have pics jet, but I'll have them in 2 weeks I think. And of course I didn't know that it's called VOG paper!